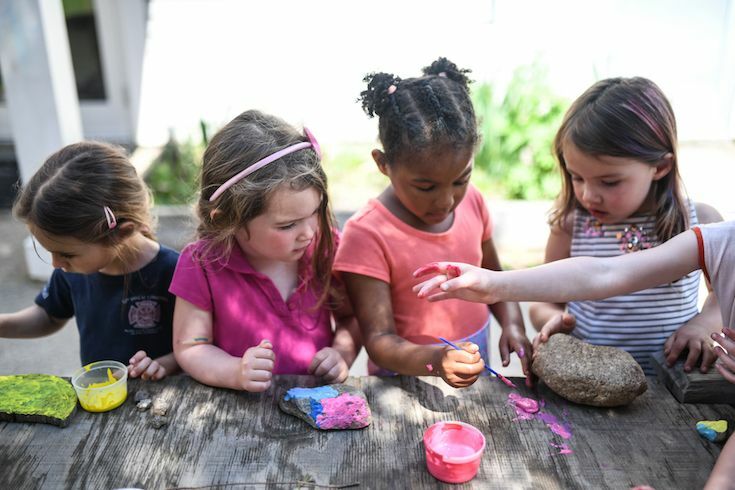 At the center of the Berwick culture is a Pre-Kindergarten through grade 12 community that fosters authentic experiences between students of all grade levels. From the beginning we fuel a child’s innate curiosity and our culture creates a safe and inspiring place for students to follow their own intrinsic path to success. As a Pre-K through 12 school, opportunities abound for older students to be a mentor, role model, bus buddy or just a friendly face to the young people on campus. This dynamic of students of all ages interacting with one another is central to the Berwick culture. 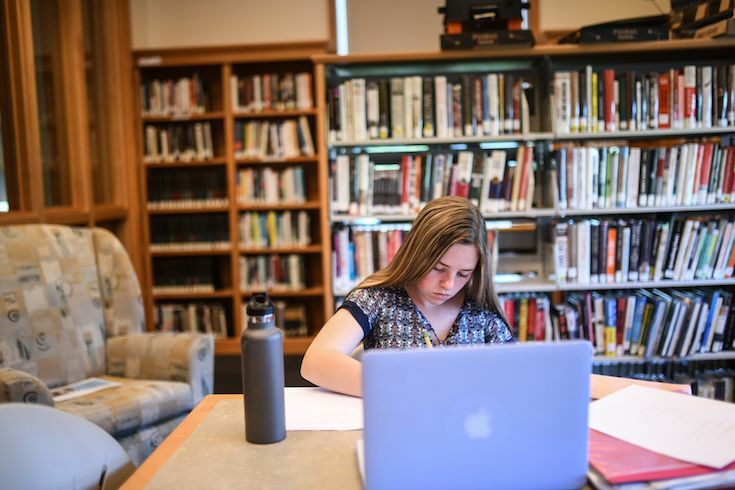 The Lower School provides an important first step in the development of community-oriented experiences at Berwick Academy. 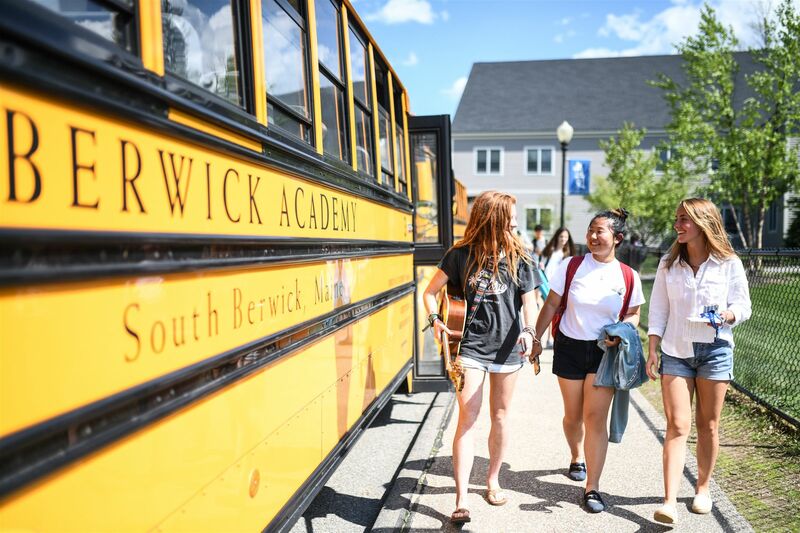 In a distinctly joyful environment, our in-school and after-school experiences provide a comprehensive academic and social foundation for students and families as they begin their Berwick journey. The events and activities below provide examples of our comprehensive efforts in this important area. The Lower School students meet weekly for a Friday morning assembly in the Great Room with topics ranging from holiday celebrations to sing-alongs to service project reviews. Faculty announcements, fourth grade ambassador reports and the weekly birthday song round out the assemblies. Assemblies may also be all-school affairs, including the Opening Assembly, the Holiday Assembly, and the Earth Day Assembly. The Explore More program allows first through fourth grade students the opportunity to participate in various group and club programs. 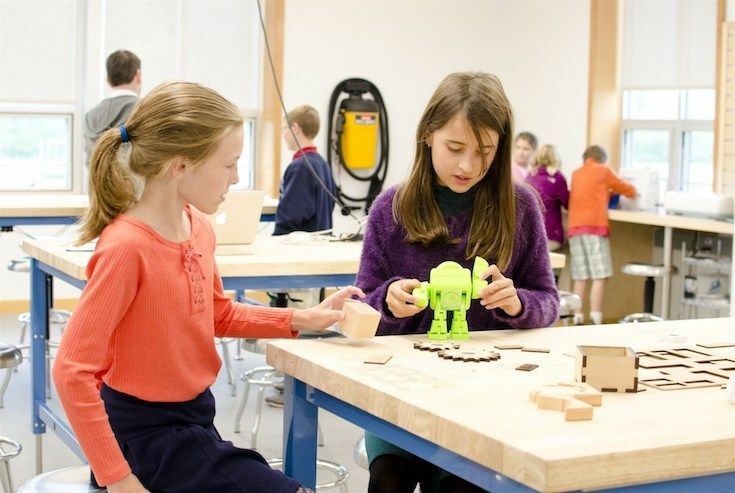 The programs range from the popular fourth grade miniature tree house building project to the engaging first grade robotics class. 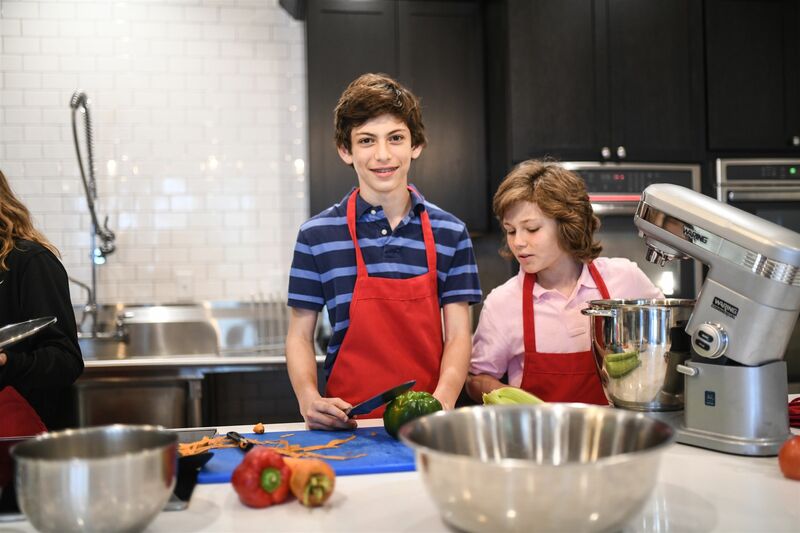 While creative problem-solving opportunities abound within these Explore More classes, the students have the opportunity to extend their creative learning in enjoyable and open-ended settings. Explore More classes typically meet on Tuesdays, from 3:15 p.m.-4:30 p.m., and are broken down into four 4- or 5-week sessions. Each session will have a specific focus and will be facilitated by a “Session Mentor,” thus providing our youngest learners with the opportunity to explore, experiment, and play with new concepts and skills. 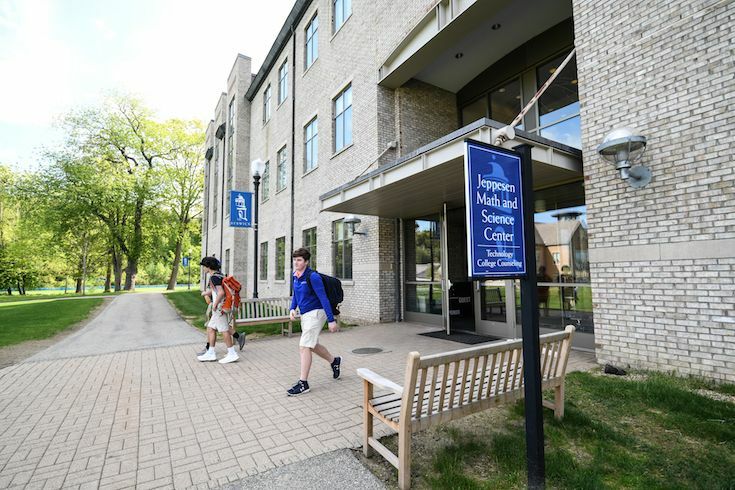 A scheduled Saturday in late September or early October annually offers a chance for students and parents from all Divisions to gather on campus for a number of athletics, arts and community-fun activities. 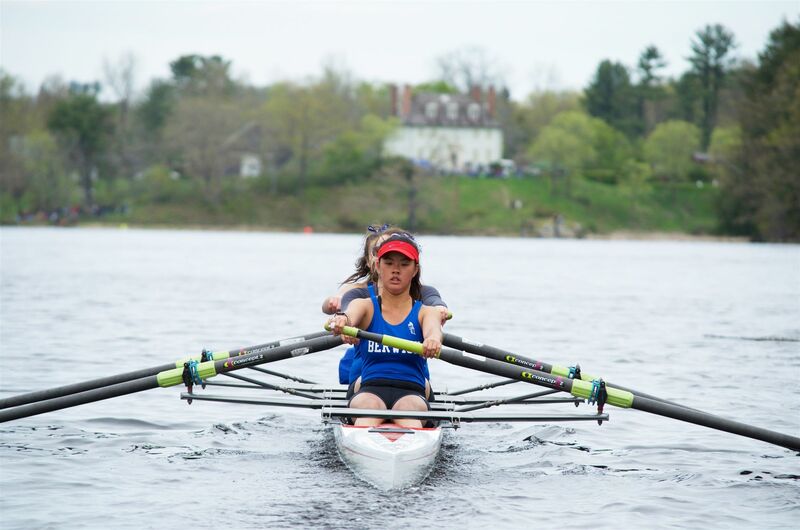 Besides watching Middle and Upper School sports matches and attending the barbecue lunch, Lower School students enjoy grade-level relay race events and a carnival. On-campus and off-campus field trips provide important learning extensions. From the excitement of pre-kindergarten and kindergarten students experiencing their initial campus journeys to the enthusiasm around the fourth graders’ Plimoth Plantation field trip, the faculty strives to schedule special events that will enhance and extend our well-rounded curriculum. Lower School students take time from their regular program to dress in their Halloween costumes and participate in a parade that circles the campus. Parents are invited to attend and cheer on the event, as are students and faculty from the older divisions. On the Friday afternoon at the end of the first week of school, the Lower School students and faculty pause for an ice cream social. Parents/families are invited as we celebrate the first week and anticipate the wonderful school year ahead. 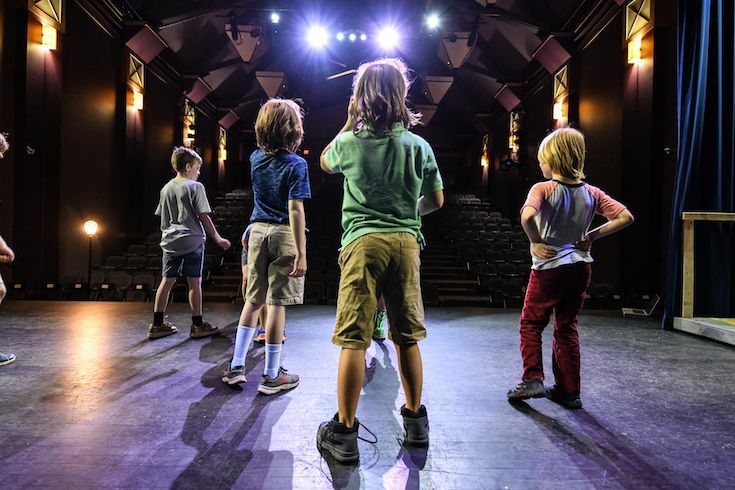 The annual Lower School Production is a much-anticipated event for our students and the broader Berwick community. Under the direction of our faculty members, the Lower School eagerly prepares for its annual spring performance. This interdisciplinary learning opportunity blends dramatic, oral, and musical performance with classroom curricular goals. The process culminates in stage productions for student and family audiences. The Lower School Pizza Bingo Night is typically held on a Friday night in January. It features family fun around the game of bingo, along with prizes for the children and pizza and pot-luck side dishes for all. 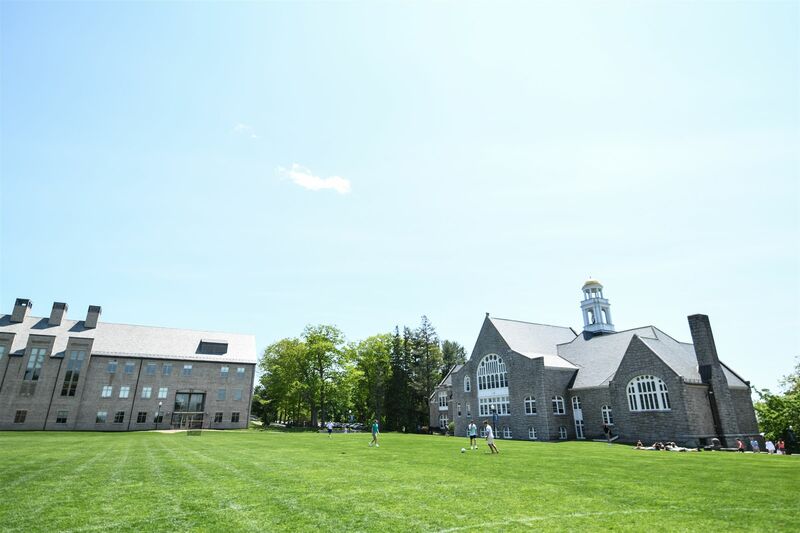 Whether playing in the hedgie tree area, within the playground structure or on the mini-turf field, recess is an exciting part of the Lower School experience. Students have the opportunity for “before school recess” as well as participating in morning and afternoon recess periods during a typical Lower School day. Not limited to beautiful fall and spring days, recess also includes winter fun, such as sledding on our mini playground hill and making snow structures. The Berwick Parent Community sponsors an annual skating party in late winter at the Dover Rink. The event takes place directly after school and is a great way for the entire Lower School - students, teachers, and parents - to gather and have fun as a community. The Special Someone Dance is for all Lower School students and the adult guest of their choosing. This fun-filled night includes a DJ, fun music, disco lights, dancing games for all ages, light refreshments, a professional photographer and a raffle. Held on a Friday morning in mid-December, the Lower School assembly moves from the Great Room to the Theater to celebrate the Solstice Season. A variety of songs, movement and dialog make up this festive performance, with family and faculty in supportive attendance. Held near the end of the school year, Young Authors Day highlights students’ writing, reading and presentation skills. Mixed-grade groups of students and faculty meet to share written pieces which the students have chosen for this special day. Parents are invited to attend the group readings in which their children participate. After the group readings, the students each receive a copy of the BA Bell (the Lower School literary publication) at a Lower School ceremony. Each trimester, the Middle School students choose from a wide range of extracurricular offerings during our weekly Activity Period. The choices can be artistic, focused on community engagement, or recreational in nature. 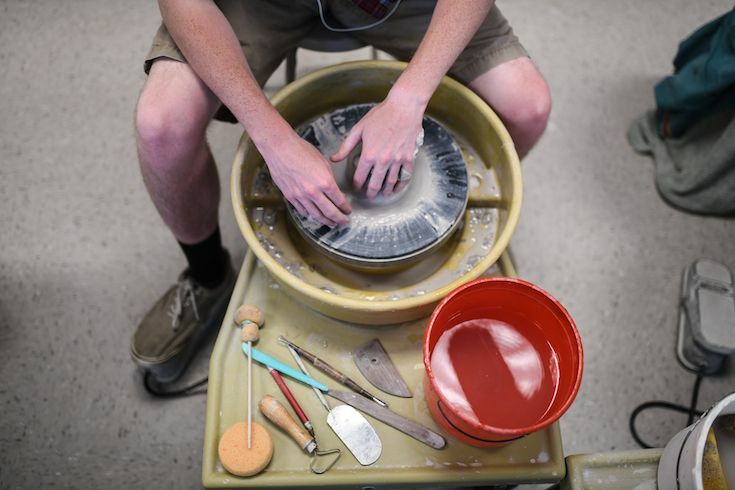 Activity Periods offers students a unique opportunity to try something different and develop new interests. Recent offerings have included Cooking for Empathy, board games, community engagement, Quidditch, yoga, fort-making, poetry, and debate. Each student is assigned to a Blue or White team for their time in the Middle School. Lighthearted and fun activities ranging from faculty trivia to capture the flag to Minute to Win it Challenges, allow teams to earn points. We tally the scores throughout the year and, on the last day of school, award the Bulldog Cup. Students have opportunities to participate in a number of fun activities that take place outside of school hours as well. Competitive robotics and math teams, a vibrant musical production, Middle School Jazz Band, and a Gaming Club are all popular among students. Additionally, 8th graders can run for elected positions as leaders of various committees including Academics, Innovation, Athletics, Arts, Spirit, Technology, and Community Service. 5th, 6th, and 7th graders have the opportunity to serve on these committees as they move through their Middle School experience. The Middle School believes that teaching the whole child involves providing students the opportunity to get out of the classroom so that they can explore their community and world in more context. Therefore, our students take part in off-campus field trips by grade level throughout the school year that foster community-building, community engagement, experiential learning, and support our academic programming and curricula. This special award is designed to recognize any community member who has gone above and beyond to make someone else’s experience more positive. Students and teachers may nominate someone, and awards are presented regularly at our Middle School assemblies. We offer two all-Middle School trips each year as a celebration of our community. 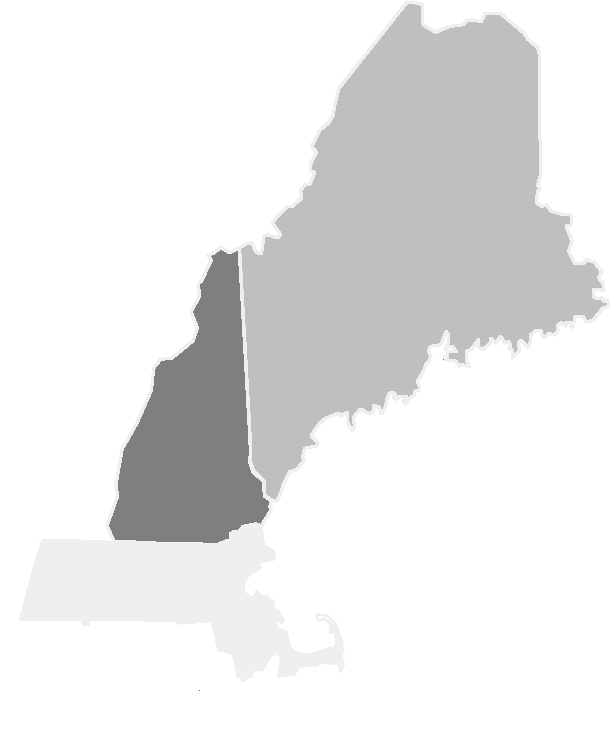 In February, we all travel to Gunstock Mountain for a fun day of skiing, snowboarding and tubing to kick off our winter long weekend. In late May, we travel as a school to Canobie Lake Amusement Park for a day of roller coasters, water rides and carnival food. It’s a great culminating event for all students 5th through 8th! Our student government works with our Deans of Students to organize spirit weeks which involve theme-based dress down days, Blue and White competitions, and special snacks. Recent spirit week highlights have included Sports Jersey Day, Decades Day (5th grade-1950’s, 6th grade-1960’s etc. ), snow sculpture contests, and spirit awards. 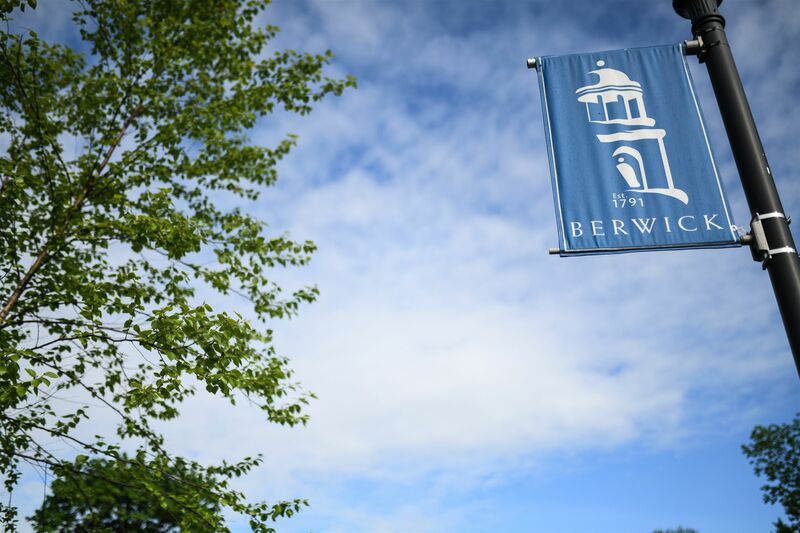 In addition to a robust academic program, opportunities for leadership, exploration, and engagement outside of the classroom are all important aspects of the Berwick experience. Students are invited to engage in clubs, activities, and social events that occur both on and off campus. 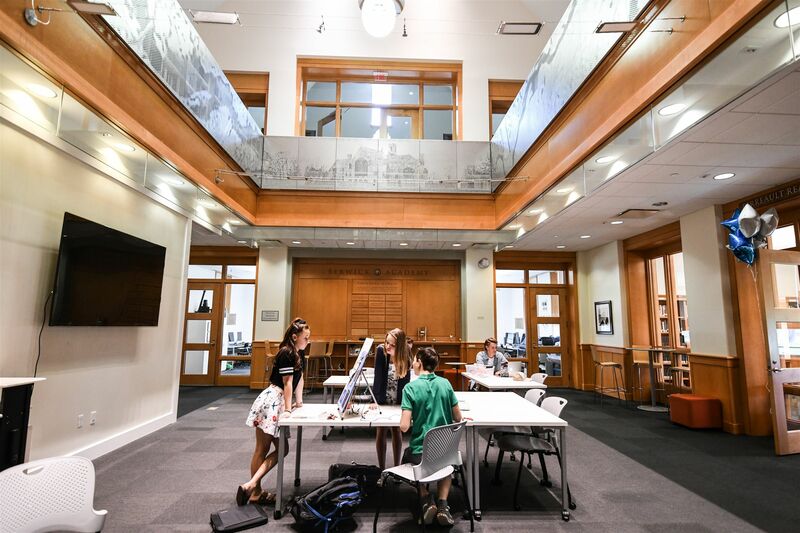 In addition to participation, they are encouraged to work in conjunction with the faculty to create vibrant experiences for expanding on and exploring a range of interests, and building a unique sense of community spirit. In addition to the important role that advisors serve for students, there is also time set aside for advisor groups to gather, check in, and bond. Most days in the Upper School begin with an all-division assembly led by the Student Life Coordinator where students make announcements, are informed about the day, have competitions, and watch performances from guests, teachers, and fellow students. Each class takes an overnight trip to promote student bonding and teamwork, as well as allowing the students to learn about and explore in an outdoor environment. Berwick offers a range of clubs, formal and informal, from robotics, to drama, to model UN, most of which are student led. Throughout the school year, the Upper School hosts an open mic night in the Fogg Pit where students and faculty are encouraged to share their musical talents in a casual and fun setting. Two community days are set aside to allow the entire Upper School to pause and engage outside of the classroom. The first is a Service Day where students are divided into Advisory groups and perform service all around the Seacoast. The second is a Wellness Day on campus where students sign up for a variety of activities that promote taking care of oneself physically, socially and emotionally. Every day in the Upper School a block of time is dedicated to a variety of purposes including club meeting time, extra help, special assemblies, class meetings, and advisor time. In addition to a Semi-Formal and the Prom, each of the grade levels host informal dances throughout the year. Once a trimester we hold departmental recognition awards where each department chooses one student to receive an award for their efforts and achievements in the discipline. These awards are used to highlight a variety of ways students can be successful in the classroom. Week-long celebrations in advance of athletic competitions that include thematic dress-up days and fun class competitions. At the end of every year we hold a celebration involving food, drink, and music. 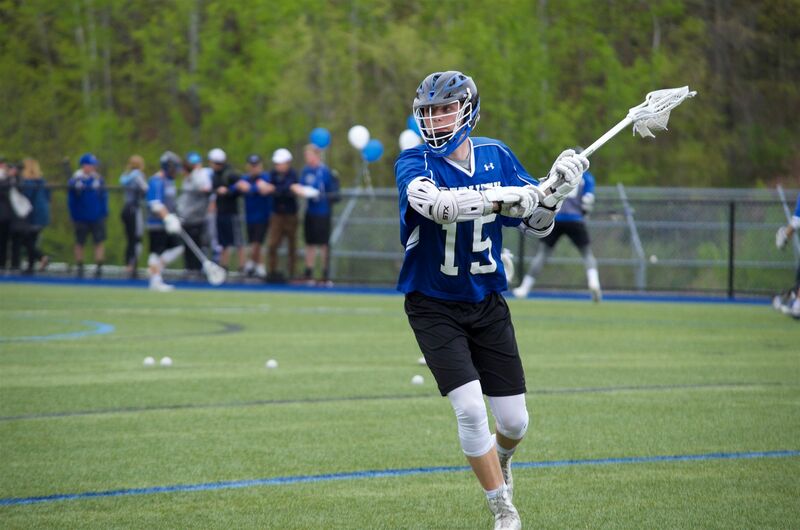 It is run by one or more seniors and weather permitting it is held on Fogg Field. This is a much anticipated event that never fails to bring the whole community together.